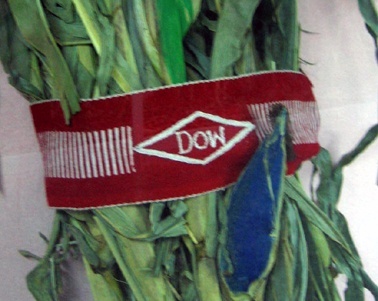 Dow's logo is red and white, like the majority of traditional fajas. It can be difficult to tell genetically engineered corn apart from non-engineered varieties. If it walks, talks, and quacks like a duck- it must be a duck, right? We decided to paint some of the ears of the "GMO corn" to illustrate their difference. As the corn dried, the paint contracted.